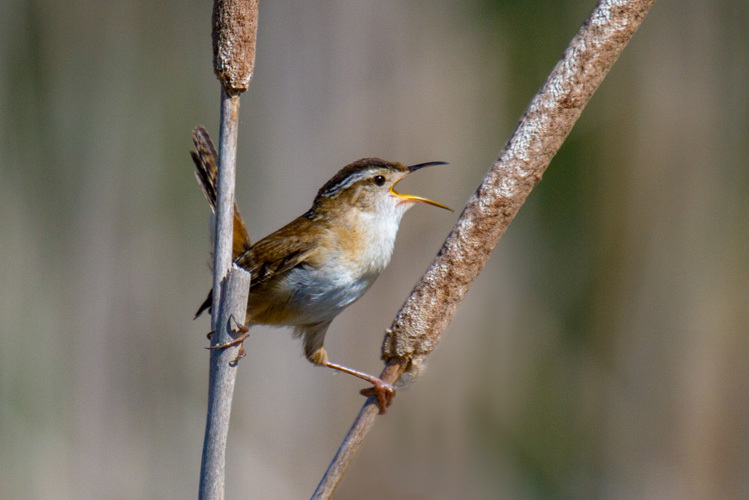 Posted on March 25, 2019 by Ryan D.
True to their name, tiny-but-fierce Marsh Wrens are denizens of wetlands and saltmarshes of North America, returning to Massachusetts to breed in the spring. 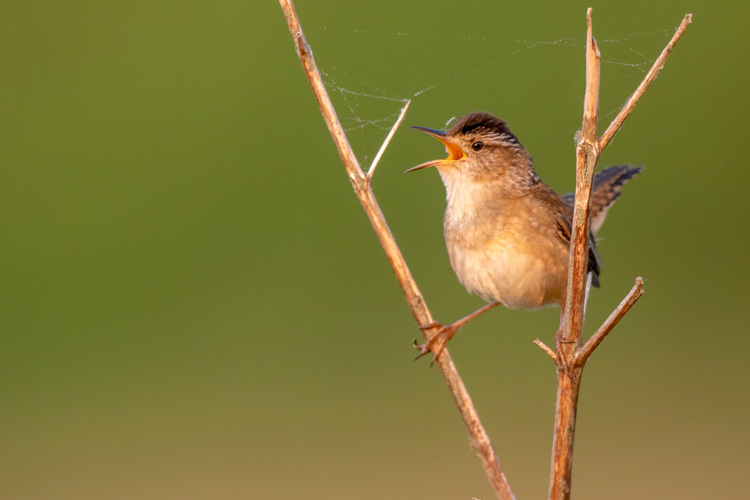 With a sharp eye, you’ll spot them flitting about among the reeds, rushes, and cattails, picking at the vegetation for tasty insects and spiders and aggressively vying for resources and mates. 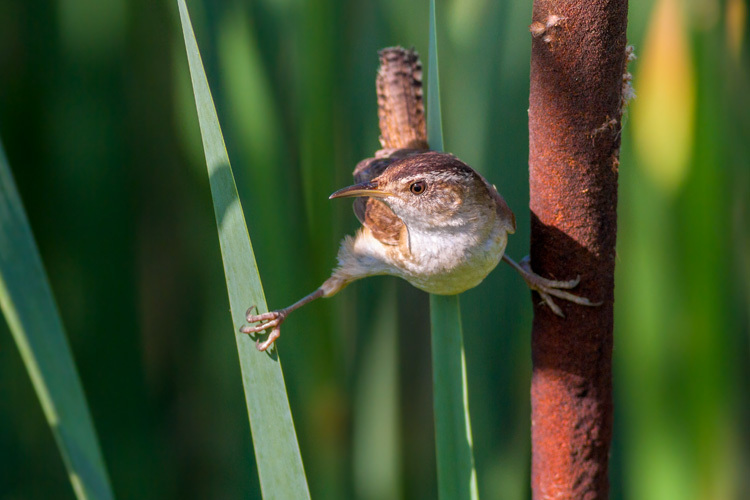 Rarely leaving the relative safety of the dense reeds, they have developed some acrobatic moves, including grasping a stalk in each foot and scuttling up and down with their tails cocked upward. 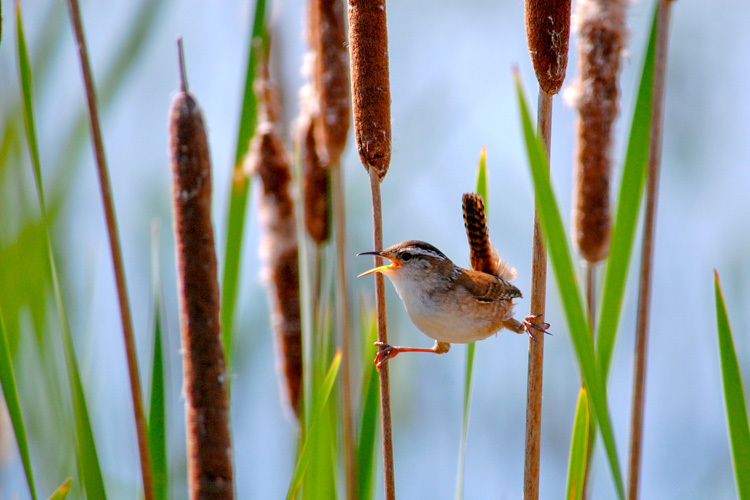 Take a walk through a marsh this spring and look both between and above the reeds for Marsh Wrens: they will occasionally flutter up above the cattails and sing “on the wing” to make themselves more conspicuous to other wrens, both males and females. 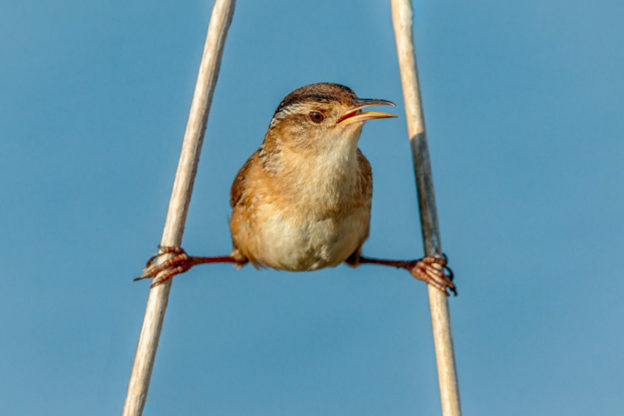 Here are five great photos of Marsh Wrens “doing the splits”, all past submissions to our annual Picture This: Your Great Outdoors photo contest. Visit the photo contest page on our website to see all the past contest winners and sign up to receive alerts when this year’s contest opens. This entry was posted in Take 5 and tagged photo contest, photography on March 25, 2019 by Ryan D..